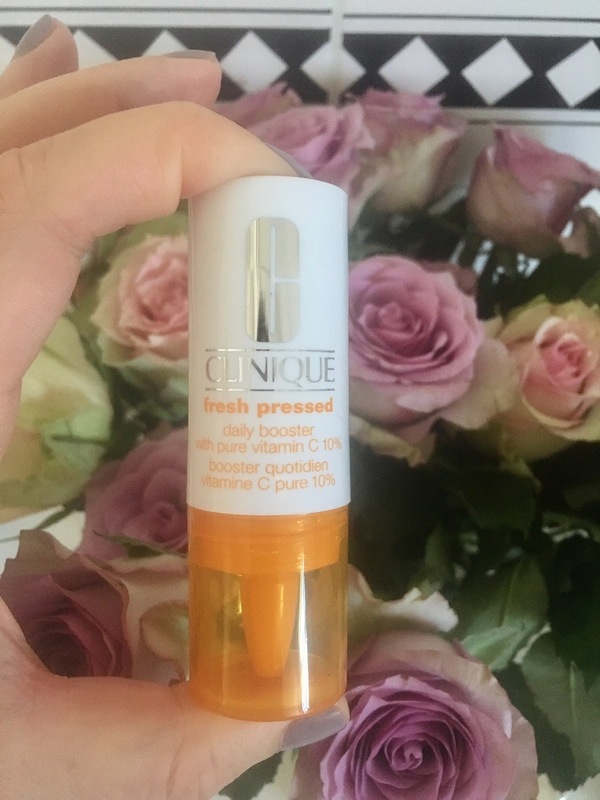 Clinique’s latest launch is one that really appealed to me as I used to use (and love) the Dr Sebagh Pure Vitamin C powder in my routine when I lived overseas. This had to be culled from my routine when it got so inaccessible (and so pricey – R2100 from Metropolitan Cosmetics), but I absolutely loved the results I got from incorporating this ingredient, in such a pure form, into my routine. I have since used a number of products that have Vitamin C in them, however, have never got the results I used to get beforehand and actually love the ritual of knowing I am adding an ingredient in its purest form to my skin. Anyway, that long winded background story explains my excitement when I saw the latest release from Clinique. You would have seen a few updates on my Instagram Stories about this but I know a few of you were confused as to 1) how to incorporate this into your routine (HOW CAN I POSSIBLY NEED YET ANOTHER PRODUCT!!!) and 2) confused about what the benefits of Vitamin C actually are. I’m going to break it down pretty simply for you and explain my experience thus far. 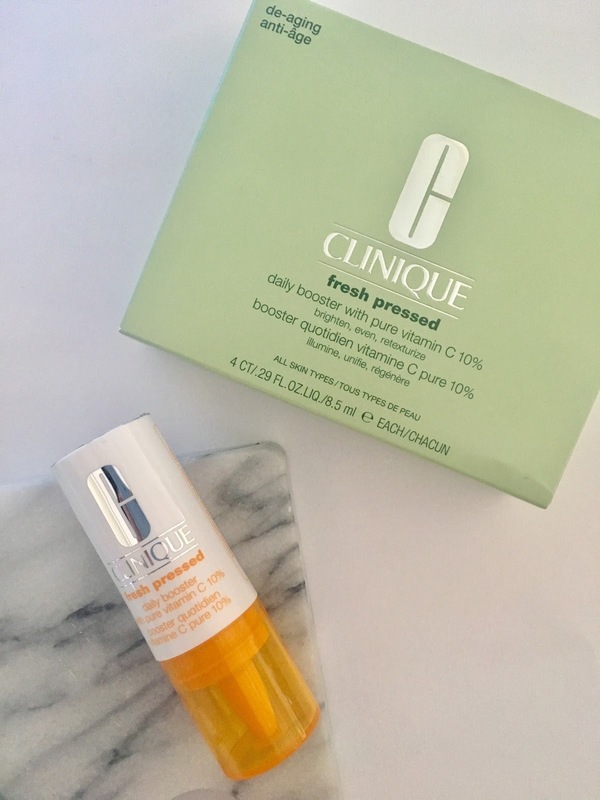 The Fresh Pressed range from Clinique is comprised of two products; a Renewing Powder Cleanser and Pure Vitamin C Daily Booster. I will be reviewing the latter. In order for Vitamin C to remain stable it needs to be packaged in an air-tight vial and only activated when you are ready to use it. 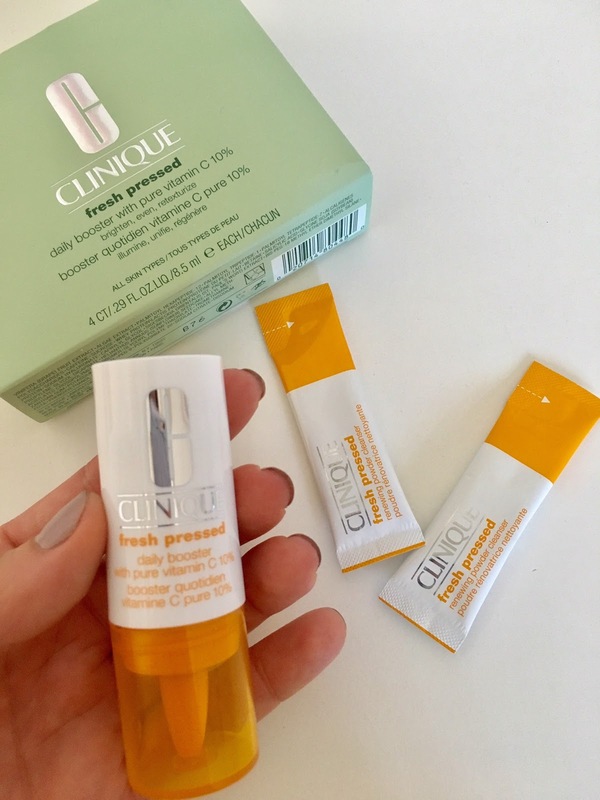 The Clinique Booster kit comes with 4 air-tight vials that are easily activated when ready for use. Each ampoule lasts about 7 days (sometimes longer), therefore the pack will last you a month. To activate the ampoule you leave the lid on and remove the foil film. You then firmly press the orange ‘button’ twice which will release the Vita C powder into the emulsion (so essentially mix the two). Shake the ampoule to ensure these mix properly and, voila, it’s ready for use. Clinique advise that you mix two drops into your usual moisturiser each AM and PM. This is the part I really like, as it doesn’t require you switching up any other products that are in your routine, but rather an additional ‘booster’ to your everyday products. I have often just applied the Vitamin C alone as a serum and followed with my usual moisturiser once it sinks in. You may now be wondering what benefits Vitamin C actually has and for me, the stand out benefit, is that it lightens and brightens. 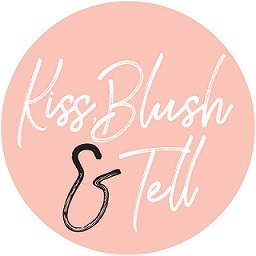 This stands out to me as so many ladies, especially us South Africans, suffer with pigmentation and this is your ingredient (in its purest form) that will assist you in tackling this issue. 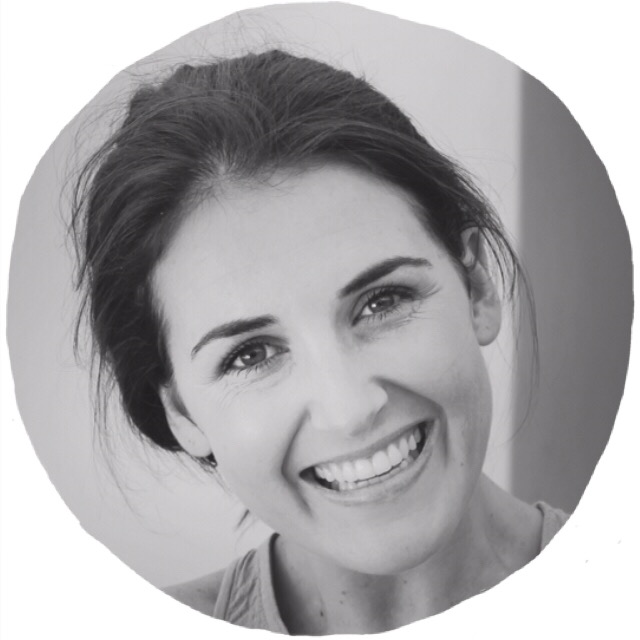 There are also other benefits such as helping with your skins texture and assisting with signs of ageing (so firmer, plumper and more radiant skin - yes please). Firstly, I am chuffed that there is a product on the market of this potency that is more affordable. I know it’s still pricey at R855, especially as this is a monthly purchase, but if you do have concerns that would benefit from this ingredient then I wouldn’t mess around with moisturisers that contain Vita C, but rather go for the purest form. I paused the skincare routine I was using (more on that later) to try this out as my skin has been freaking out of late, I honestly haven’t had dehydration and breakout like this since high school, and have seen noticeable differences through using this. I am only on week 3 but my skins texture is looking a lot smoother and I compared a photo I took of my skin a few weeks back to what it looks like now, and I’m really chuffed with the results. I also love the little ritual of incorporating this in my routine. It’s quick and easy to use, but also quite therapeutic cracking open my new ampoule each week (I need to get out more). The only downfall here would be the price for some, but I feel it is money well spent and the results are worth it. I have also found the little ampoules super handy when it comes to travel, as they are so light and small, so you can just pop one or two (depending how long you are away for) into your toiletry bag, so easy! You can buy these in Edgars stores or online with Clinique.